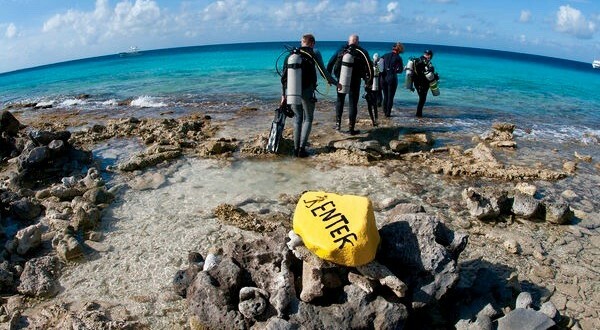 Ready For A Bonaire Vacation? 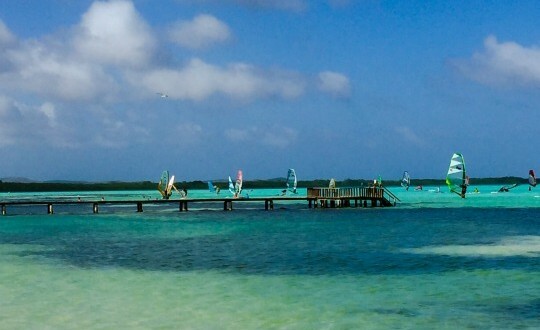 Our guide to help you prepare to set sail Wind Surfing & Kiteboarding on Bonaire where the trade winds & warm weather are perfectly suited for Wind Surfing at Sorobon and Kite Surfing at Atlantis Beach. Beaches, restaurants, sun shining days and comfortable evenings. 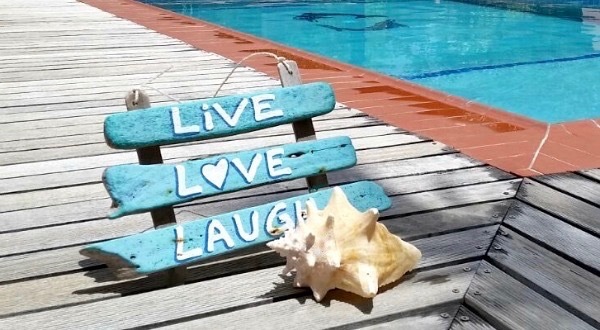 Bonaire has something for everyone looking to relax and unwind while on holiday. Take a look at the great places to visit and things to see and do while on vacation in Bonaire. Villa Lunt is a luxurious vacation rental situated on 3/4 acre of lush manicured tropical gardens with a large and private swimming pool. 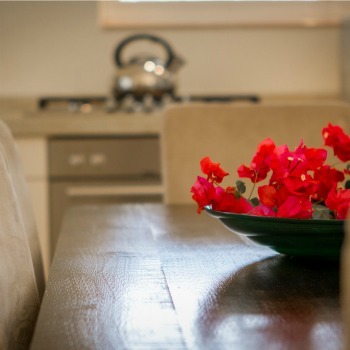 Hosting one group at a time, the unique layout of Villa Lunt allows us to set up the perfect accommodation for our guests, whether you choose one or all six fully air conditioned bedrooms. Three of the bedrooms are master bedrooms each with private access to a full bathroom. All unused bedrooms remain vacant during your stay affording you and your group ultimate privacy. 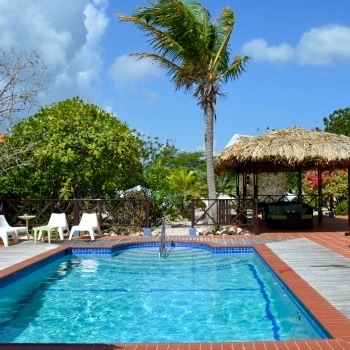 Additional amenities of Villa Lunt include a fully equipped kitchen, spacious sun deck, dine-under lighted gazebo, 2 outdoor showers, rinse tanks, flat screen TV with cable, wireless internet and laundry facilities. Private parking is available for up to 3 vehicles in the fenced in property. Entry to Villa Lunt is attained by remote control access to the electronic gate. If you have any questions regarding the area, property or availability please drop us a line. Please call us at +1 732 306-4585 if you have any questions or would like additional information. 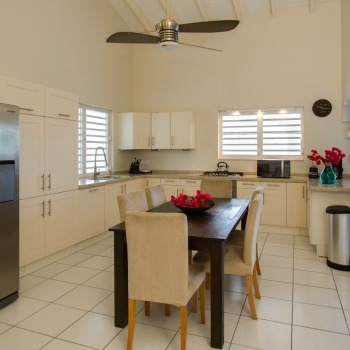 "Villa Lunt is a wonderful property that perfectly fit our extend family vacation in Bonaire. The main home is spacious and wonderfully decorated, with a separate guest house that was very nice for my parents. It has a well equipped kitchen for daily breakfast and lunches, and the patio was perfect to have evening dinners outside after cooking on the grill, and the pool was inviting every day." 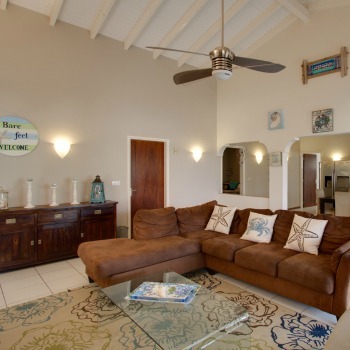 Copyright © 2019 A Luxurious Vacation Rental in Bonaire. Powered by WordPress. Theme: Accelerate by ThemeGrill.